Kyle Wiens has seen the insides of just about every gadget under the sun, and he’s not surprised that the iPhone 6 Plus is susceptible to bending. 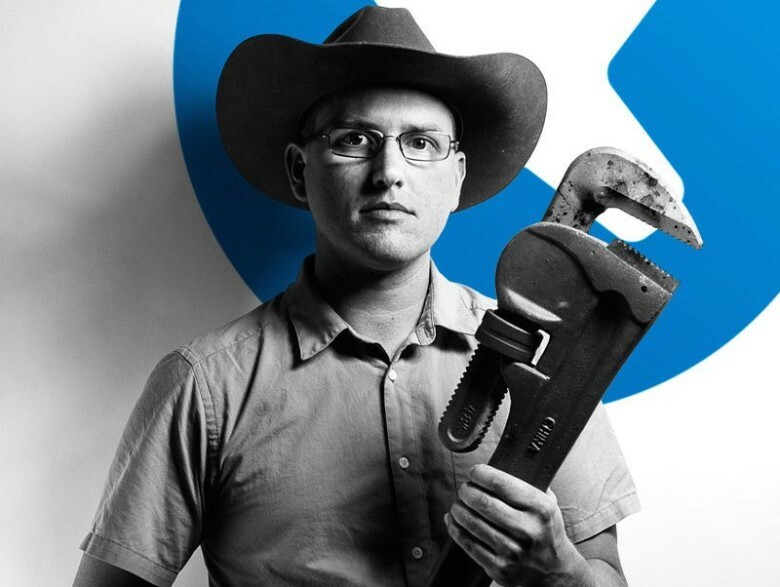 Wiens is CEO of iFixit, which is famous for its insightful teardowns of Apple products, and he says there’s nothing wrong with the design of the iPhone 6 Plus. It’s long and thin. Duh — it’ll bend. In the wake of selling 10 million new iPhones in a weekend, a small number of users complained their giant iPhone 6 Pluses bent in their pants pockets, generating a media firestorm. Apple calls the bending issue “extremely rare,” saying only nine iPhone 6 Plus buyers complained to Cupertino about the problem. “Bendgate” is the latest Apple controversy to go mainstream, but Wiens says it’s the price Apple pays for going ever thinner with its product designs. Wiens is a tireless campaigner for easily repairable products that have longer life spans. He abhors current tech culture that worships the constant cycle of shiny new gadgets at the expense of perfectly functional, but outdated, old ones. He said iFixit, which is the second-largest supplier of Apple repair parts after Apple itself, has seen plenty of bent gadgets for years. As devices get thinner, they become less rugged. Wiens said the iPhone 5s and Apple’s iPads suffer from being relatively easy to bend. One solution for Apple might be to use a harder metal like titanium, which would be stiffer and harder to bend than aluminum. Apple has used titanium before — in the early 2000s for the PowerBook laptop. But Wiens said titanium wouldn’t be realistic for a product like the iPhone. Titanium can’t be milled using the “unibody” process Apple utilizes to make the latest iPhones and iPads. The unibody process uses CNC milling machines to carve cases out of solid blocks of metal. In addition, titanium would be far less environmentally friendly than aluminum because of the high power requirements needed in its manufacture. The other solution would be to make the iPhone Plus thicker and stronger. “I would personally prefer a slightly thicker, more rugged phone,” Wiens said. Wiens, who is known for his e-waste activism, said he likes phones made of metal over plastic. “Yes, it deforms, but it’s less brittle over the years,” he said on Twitter. His best advice for iPhone 6 Plus users? Be careful where you put it. “If people decide to buy a phone that’s this thin, then they should try to limit the amount of torsional torque they apply,” he said.